The Remington SP-10 Magnum Satin is built for those who need their pellets to go just a wee bit further. The 10 ga is ideal in situations where you need to hit high flying duck, or those illusive turkeys. The 10 ga Remington just like other 10 gauges is built for "distance" kills. When you talk about distance in reference to a shotgun it's not nearly as far as that of a standard rifle, but the 10 ga helps your shot group stay together longer. 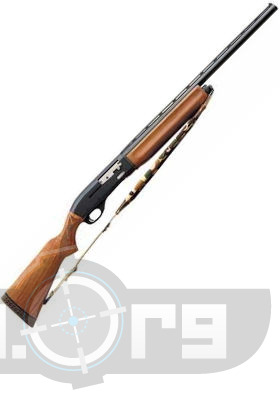 The SP-10 Magnum Satin by Remington has always been Americas #1 gas operated 10 gauge shotgun. This gun also includes features like fiber-optic Fire Sights™ on a 23" barrel, fully covered in Mossy Oak® Obsession™ or Duck Blind™, sling swivels and padded sling. Yep even comes with a sling.